Model : DOREMI ShowVault/IMB | Prahin-Inc d.o.o. 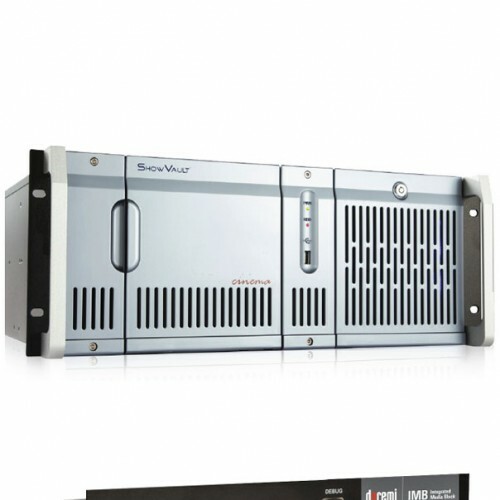 ShowVault/IMB solution includes all hardware and software features of the digital cinema package (DCP) platform with numerous advanced features such as dual 3G HD-SDI inputs, HDMI 3D input with HDCP, 4K playback support, and scaling capabilities to 2K or 4K resolutions.Dolby’s ShowVault is a dedicated storage server capable of playing back 2D, 3D, and high-frame-rate (HFR) DCI- compliant DCPs and has been specifically developed to interface with Dolby’s Integrated Media Block (IMB). 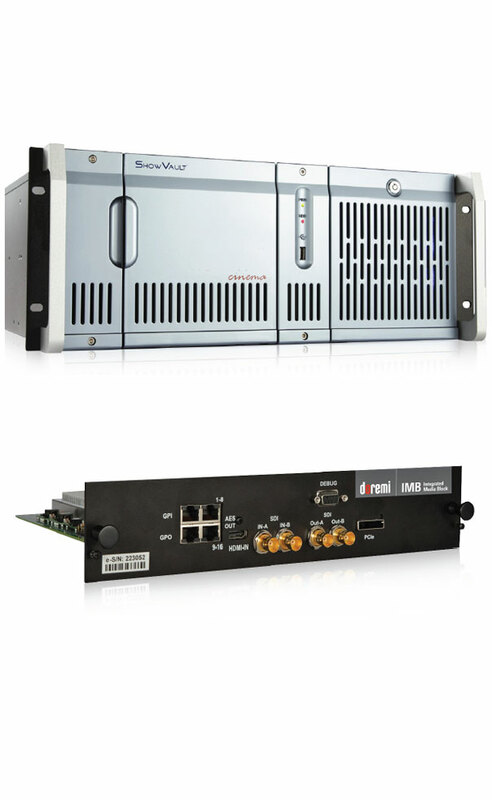 The Dolby ShowVault loads digital content and dispenses files electronically to the IMB via an external PCI Express cable. The Dolby IMB also supports deinterlacing of 1080i inputs and automatically converts incoming formats to avoid switching formats on the projector. 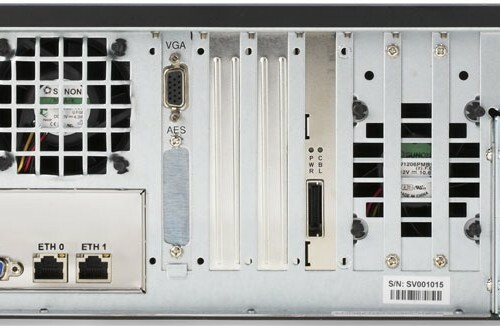 All video inputs utilize a single audio output via RJ45 for simple cabling to your audio processor of choice. 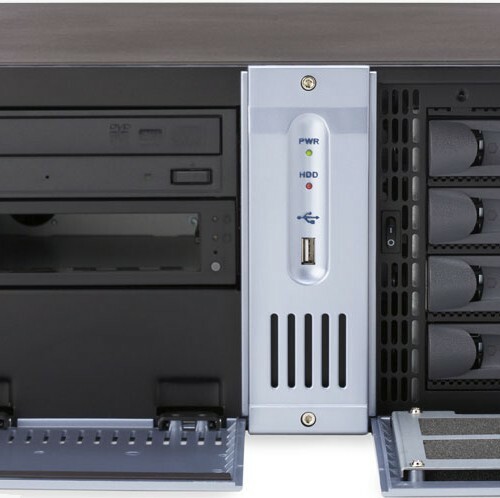 With the existing IMB hardware, a simple enablement key is all that’s needed to start.